On Saturday February 13, Electric Company is shooting background/extras scenes at the Stanley Theatre for our new project, a film / theatre hybrid show called TEAR THE CURTAIN! Hundreds of volunteers are wanted to work with director Kim Collier. This is a rare opportunity for us to share our unique creative process with the wide community. No experience necessary. The Arts Club Theatre Company in Association with Electric Company are producing Tear the Curtain! for stage in Fall 2010. Set in a fictionalized 1930s Vancouver, and shot on location at the historic Stanley Industrial Alliance Stage in South Granville. On February 13, we are shooting crowds of snappily dressed theatre-goers attending the opening of a play. Some costumes are on-site, but if you have things in your closet bring them along. For men we’ll need suit jackets, shirts and ties. For the ladies we’ll need you in any tops or dresses that feel vintage. Trench coats, fedoras or other vintage hats, gloves and accessories will be very helpful. Let’s put it this way: the more 1930s you look, the better chance you’ll have of being featured in close-up! The day may be long-ish – save 8am-8pm and we will confirm the call. Bring a book, snacks, and tell friends. Some food will be available on-site. 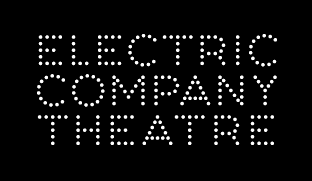 Contact us by email with your interest at info@electriccompanytheatre.com or phone 604-253-4222.